Score U.S.C.G. 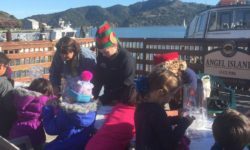 Certified Captain Maggie McDonogh’s “insider’s guide” to Tiburon, Calif., the ultimate “stay & play” getaway on the “sunny side” of San Francisco Bay. Discover where Tiburon locals go for the best “farm-to-table” cuisine, check out Tiburon’s hot-spots for sipping cocktails bayside…and get Captain Maggie’s 411 on places to stay after a day of fun in the sun – in Tiburon, Calif. 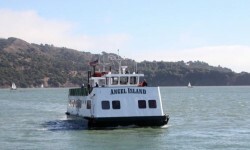 Hike, bike, or hit the beach in the middle of San Francisco Bay with a weekend day trip to Angel Island State Park – AKA: Paradise. 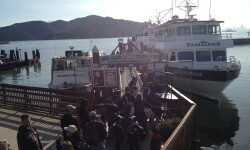 Considered time and again as one of the best Bay Area day trips – your Bay Area paradise island getaway begins with a ride on the award winning Angel Island Tiburon Ferry, which has been named as one of California’s “Top 8 Ferry Rides” by Sunset Magazine, and recently acknowledged as an award winning “Local Attraction” by the Marin Magazine’s 2013 Editor’s Choice Awards.